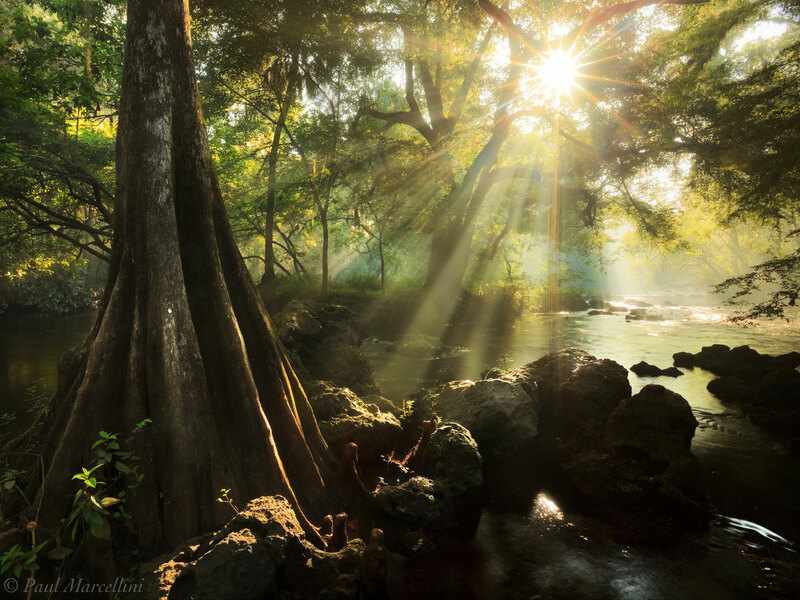 The Hillsborough River is one of the few rivers in Florida with rapids. On this morning, the atmosphere could not be beat. The sun's rays streamed in and echoed the shape of the cypress trunk. 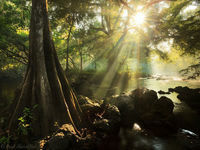 This image received a Judge's Choice Award in The North American Nature Photographers of America 2012 Showcase.